On this January morning, Glenn Close is likely answering the phone to field congratulations from well-wishers on her nomination for Best Actress for The Wife. It is her seventh Academy Award nomination. Close, 71, plays long-suffering wife and helpmeet, Joan, to literary lion Joe (Jonathan Pryce; think Philip Roth, Saul Bellow, Norman Mailer). As their dysfunctional marriage finally unravels, she awakens to the consequences of the sacrifices she has made and steps out of the shadows. Close has also garnered Screen Actors Guild and BAFTA nominations, but her surprise Golden Globes win and her impassioned topical acceptance speech (in which she invoked her mother and the women of that generation and the present one) moved her into frontrunner position. You could almost hear women around the world nodding in agreement. 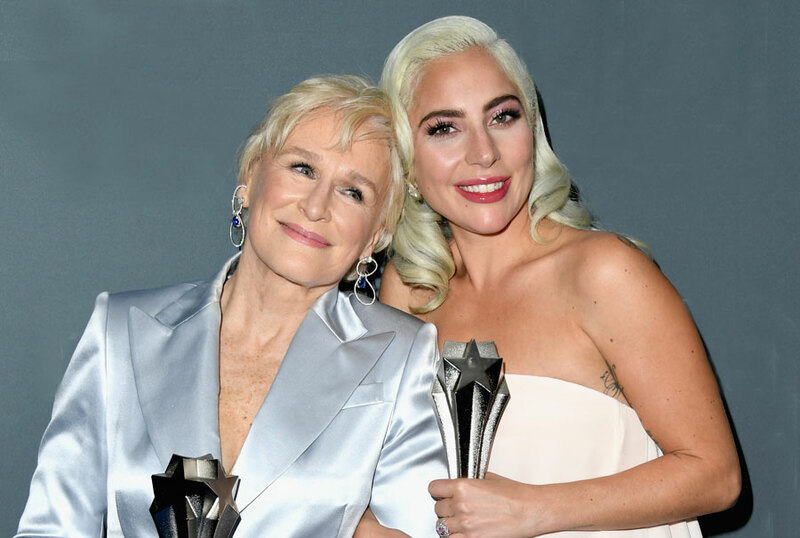 It was considered an upset because Lady Gaga was considered the popular shoo-in for A Star Is Born. Close seemed the most shocked of all – but then, she is the greatest actress of our age. Since then, there’s been the suggestion that if Close wins the Oscar for Best Actress on Feb. 24, the statuette will be thanks to her venerable status or that old Hollywood adage that she is the sentimental favourite who was long overdue for a Career Award. It is possible to overhype a performance – but not this one. It’s time to to turn the conversation back to the performance itself. I’ve been joking that the only people who don’t think Close deserves an Academy Award for The Wife are the ones who haven’t seen it yet. The movie has, sadly, gone under the radar since it premiered at the Toronto International Film Festival back in September 2017. Initially slated for spring 2018 release, it was then pushed back to early autumn. 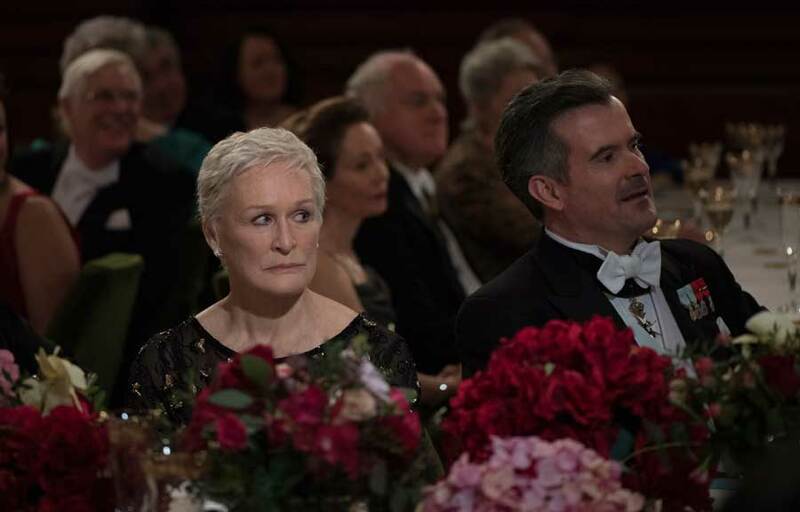 The Wife is directed by Björn Runge from an adaptation by Emmy-winning screenwriter Jane Anderson (Olive Kitteridge), based on Meg Wolitzer’s provocative 2003 novel. “It’s a thrilling performance” is how Wolitzer put it when I interviewed her onstage last spring. Close delivers an understated, incremental and layered performance honed by decades at her craft (like Charlotte Rampling in 45 Years or Fanny Ardant in Things to Come). Imagine 100 minutes of the same engrossing subtlety as the final, silent scene in Dangerous Liaisons, where Close’s Marquise de Merteuil slowly wipes off her makeup. It’s a career best, and that’s saying something in a career that has included memorable turns in The World According to Garp, The Natural, The Big Chill, Fatal Attraction, Dangerous Liaisons and Albert Nobbs, each of which earned her the previous six Oscar nominations. (For those counting, although she has three Tonys and three Emmys, that makes Close the most-nominated living performer without a win; a dubious distinction previously enjoyed by Peter O’Toole and Richard Burton). A telephone call is what sets The Wife in motion, when the Castlemans are roused by that famous wake-up call from Stockholm informing Joe that he has won the Nobel Prize for literature. Joan runs to take the extension in the office (her husband’s legendary typewriter is pointedly in view) and looks stricken. “Not only do you write with extraordinary intimacy, with depth, you also challenge the novelistic form in ways that will affect generations,” the voice on the line tells Joe, before suggesting to Joan that she should monitor the deluge of calls. “Yes. I’ll take good care of him.” Like everyone else, he assumes her main function is as Joe’s secretary. (He’s not wrong). Married nearly 40 years, Joan was once an aspiring writer herself but her ambitions and identity took a backseat to his career as an acclaimed and now world-famous novelist. Her very name suggests how she’s an extension of his identity, like an extra limb. They head to Sweden, where Joe, believing himself to be magnanimous (or else possibly needling her) thanks his wife effusively in a speech (“truly my better half”). That coarse salt rubbed in the wound is the last straw, and the marriage and its secrets implode. Close’s every facial expression is a masterclass. Like when Joe’s persistent unauthorized biographer Nathaniel (Christian Slater) is in close pursuit. “I don’t think people give the spouse enough credit,” he tells Joan, patronizing. Yet when just as he’s begun to ingratiate himself, Nathaniel, too, underestimates her. Over vodka and cigarettes, he presumes to explain the nature of her philandering husband to her. In an instant, the indulgent warmth in Close’s face dissipates and is replaced with a tight smile that doesn’t reach her eyes. “Aren’t you the therapist,” she says, as the drawbridge comes up. She is magnificent in her restraint. The accolade inflates Joe’s already-enormous ego and brings dissatisfaction and simmering resentments to a boil. All bluster and false modesty, he’s always been more interested in fame and glory (and ingenue acolytes) than in prose, anyway. The Wife and Close’s performance have captured the Zeitgeist relevant today as it was to the women in the post-war generation and the gender and power dynamics and landscape it critiqued when it was written nearly 20 years ago. “I suspect that all writers hope (at least secretly) for a little bit of timelessness,” Wolitzer says. In a story about talent, ambition, ego, compromise and who does/doesn’t get to win prizes, Glenn Close’s Joan is exquisite restraint. And seething fury. The Wife is her tour de force, and Close deserves all the awards.